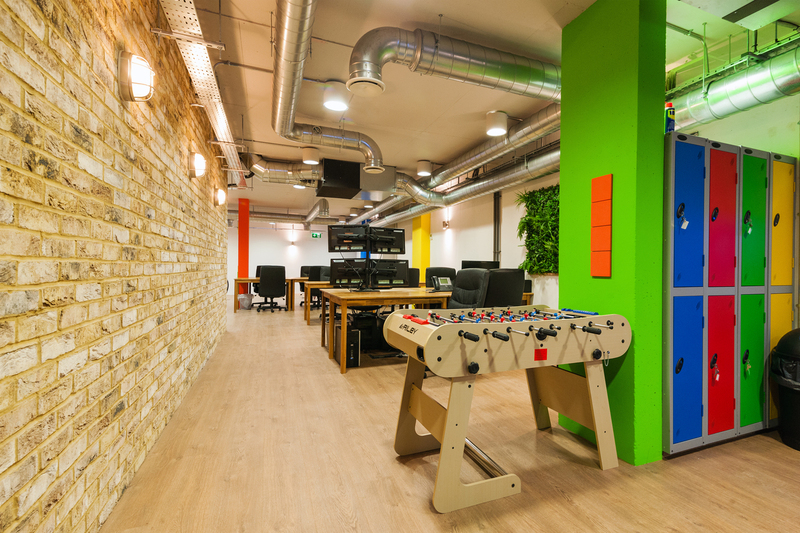 Located a 3 minute walk from Old Street station, east side of Paul Street, 3,076 sq ft plug and play creative open plan office arranged over two floors - ground floor and basement. The space has a media-style finish with bright colours and modern decor. 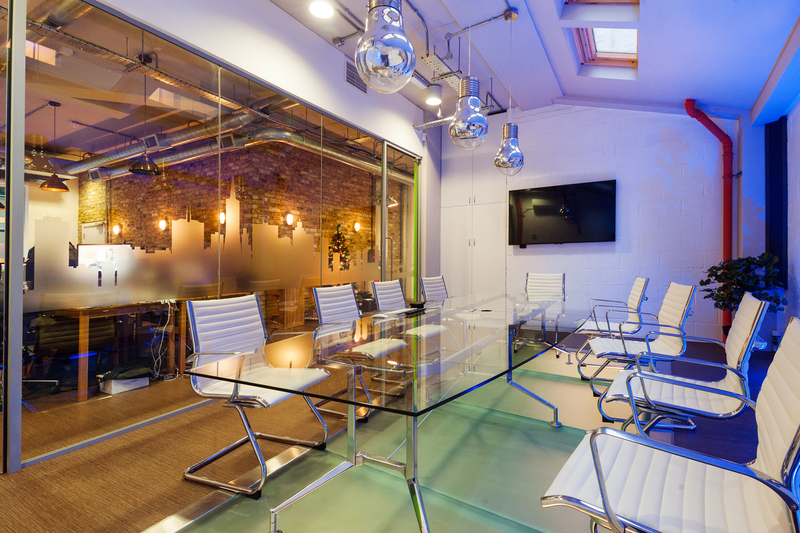 Facilities include exposed services, air conditioning, breakout areas and access to meeting rooms. The office is situated within close proximity of good amenities including shops, restaurants, bars and galleries. 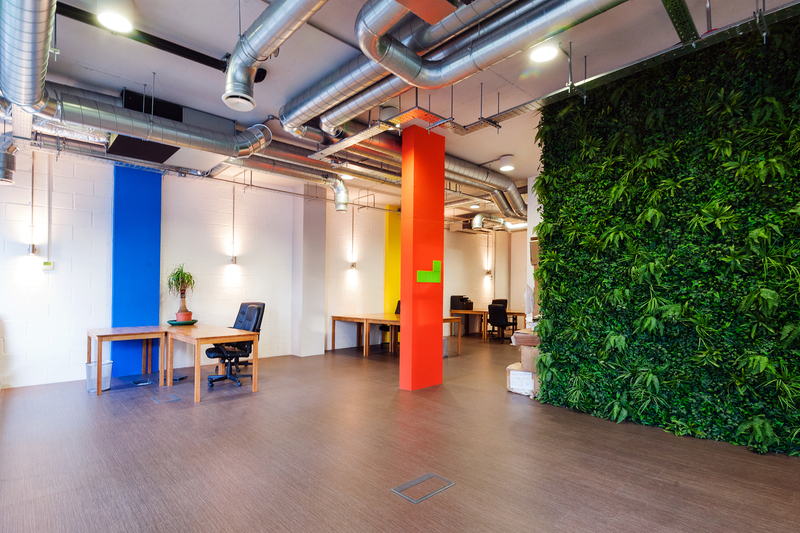 Bright colours, exposed brick and plant wall. Ground and Basement floor available, spreading 60 desks across 2 levels.